As a sentient human in this world capable of executive reasoning and bipedal locomotion, it's normal and healthy to question everything around you. What is the meaning of life? Why is the sky blue? How is babby formed? How did Kobe Bryant manage to win an Oscar in the age of #TimesUp? Why the hell is a face peel called a face peel if the face does not actually peel? Today's face peels, particularly the kind you can do at home, are powerful but gentle, sloughing away dulling dead cellswithout the raw-meat side effects of the peels that give peels a bad name. They're safe and easy enough for the uninitiated to approach them without fear, but they don't skimp on efficacy, either. And, most importantly, these new formulas keep your face skin where it belongs: on your face. $85 – Available at Net-a-Porter. You've never seen a peel like this before, but you probably have seen similar technology in cleansers and eye-makeup removers that encourage giving the bottle a good shake to mix up the oil- and water-based molecules. The same principle applies to this formula, which separates into two distinct layers, with conditioning oils of olive, algae, and omega-rich sacha inchi rising to the top and a blend of skin-friendly acids and extracts sinking to the bottom. Shake, dispense onto a cotton pad, smooth it over your face, and leave it on for five minutes before rinsing to reveal clear, radiant skin totally worth the arm workout. $22.00 – Available at Ulta Beauty. These professional-strength peeling pads are powerful enough to satisfy the seasoned chemical-exfoliation fan, but they're also gentle enough for a first timer. The key is in the balance of a potent concentration of glycolic acid paired with natural astringent witch hazel and soothing, anti-inflammatory calendula extract. $24 – Available at Soko Glam. Hormonal breakouts clear up faster, skin feels calmer, and acne spot patches work better when these jumbo-sized cotton swabs are in the picture. They come individually packaged — perfect for travel — and pre-soaked in an exfoliating solution of bamboo water, lactic and glycolic acids, and tea tree extract to slough away pore-clogging buildup without irritation. $60.00 – Available at Sephora. 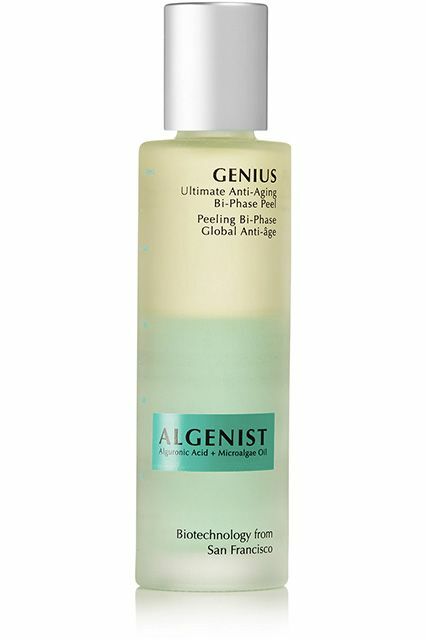 If a relaxing peel sounds more like a contradiction to you than a real thing, let this gentle exfoliant prove you wrong. The super-fine powder formulated with natural papaya enzymes removes dead skin cells when activated by water, leaving you with a brighter, more even complexion — sans any irritation. Gentle enough for daily use, this K-beauty staple is ideal for any at-home spa day.